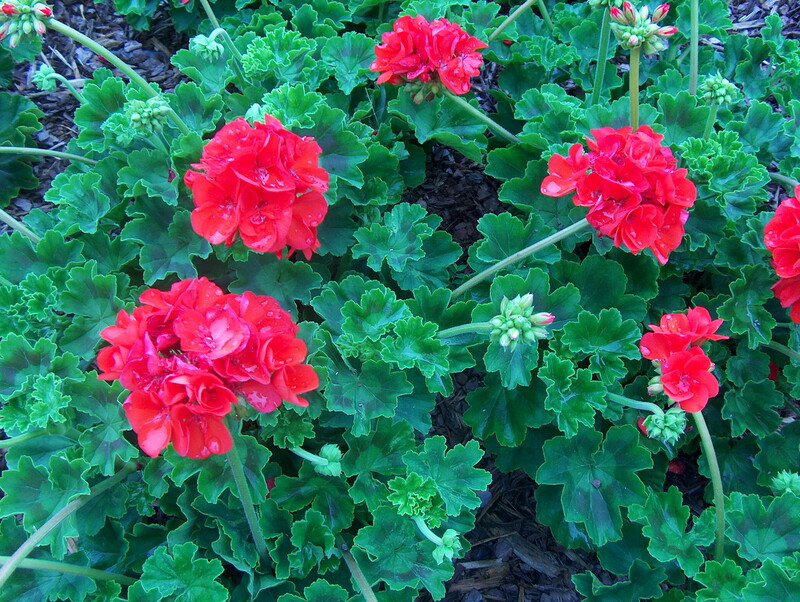 Comments: Geraniums are well adapted to growing in seasonal color beds as well as in containers. They have been featured in window boxes for a long time. Provide a fertile, well drained soil and good air circulation because they tend to have a problem with leaf spot diseases in areas where the conditions are hot and humid.